At Norðurál Grundartangi, 600 employees work round the clock using electricity from Iceland’s renewable resources to process pure aluminum from aluminum oxide. Our product, pure aluminum and various aluminum alloys, are shipped to international customers, turning green energy from falling water and geothermal heat into one of Iceland’s most valuable exports. Norðurál uses a third of electric vehicles to transport staff and products, and also encourages staff to electronically. Green parking allows staff to charge their vehicles for free. In 2016, Norðurál at Grundartangi used 4.6 GWhs of electricity – almost a quarter of the entire Icelandic supply of power – to produce 313,000 metric tons of pure aluminum and aluminum alloys. 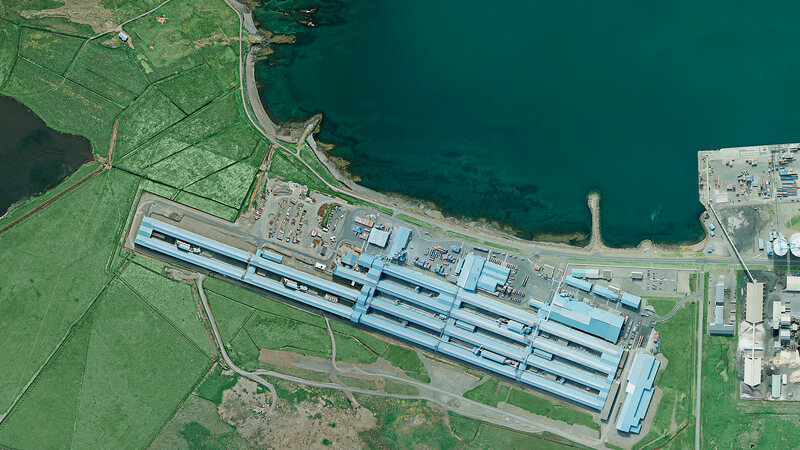 Norðurál in Grundartangi is among the largest aluminum plants in Europe, with an annual production of 317.000 tons and approximately 600 employees. With Norðurál, Icelanders convert a fragment of the country’s power to a 600 million dollar export product while at the same time promoting the use of environmentally friendly energy sources and materials for vehicles, packaging and numerous other things. 2011 The offices of Norðurál in Reykjavík are moved from Borgartún to Skógarhlíð. ISO quality system is implemented. 2012 Norðurál purchases an electrode factory in Vlissingen in the Netherlands. The first students begin to study at Norðurál’s School of Heavy Industry. 2013 The ISO environmental and safety management systems are certified. Considerable renovations made in the rodding shop. 2014 Production increase prepared by increasing the power and production of alloy begins. Mercedes-Benz uses aluminum from Norðurál for their C-Class car that is made 50% of aluminum. 2015 Norðurál signs the Paris Climate Agreement and thereby commits to reduce greenhouse gas emissions and waste production. 2016 Separation of organic waste begins in the cafeteria where 110 thousand meals are served every year. Green parking lots established. 2017 Approximately 317.000 tons of aluminum and alloy are produced. Number of employees is 600. Norðurál employs competent and ambitious staff who receive warm reception and appropriate vocational training. Every year Norðurál supports various community projects. Our place of work is unusual in a few ways. The “Pot Rooms” are not really rooms, but massive buildings covering a stretch of almost 3 miles. Our stock room is no pantry either, with massive coils of spare wire stacked 60 feet from the ground. We welcome groups for guided tours. Send us a request for a tour by e-mail or call +354 430 1000 and we’ll do our best to find a convenient time to accommodate you.